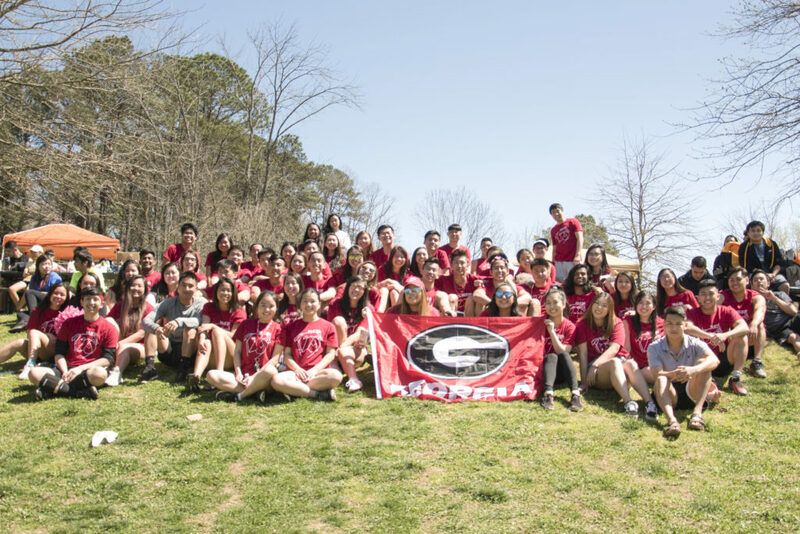 The Vietnamese Student Association at the University of Georgia operates under its four pillars: culture, community service, leadership, and friendship. This year, we wanted to improve in all aspects, but most importantly we wanted to increase cultural awareness and leadership opportunities. Our VSA promoted Vietnamese cultural awareness through our miniature Vietnamese lessons at general body meetings (GBM), fundraising by selling traditional Vietnamese foods/drinks such as our Vietnamese iced coffee, and planning and showcasing our 14th annual culture show, Night in Saigon: Don’t You Forget About Me. We increased our involvement in community service by providing opportunities for our members to volunteer, not only for our campus community, but the Vietnamese community in Georgia. Through food banks, health fairs, voter registration drives, and most notably, voter phone banking, which involved reaching out to Asian Americans and encouraging them to vote in the presidential election, we were able to connect and leave a positive impact on our community. We cultivated a feeling of friendship and family through multiple GBMs, outings, our ACE program, and travel, etc. Our ACE program is a mentor/mentee program, which involves sorting our members into smaller families, allowing them to form and foster long lasting relationships. Although we are a Vietnamese Student Association, we seek to be more diverse and welcome people of all racial backgrounds. One of our main goals is inclusivity – allowing anyone and everyone to be apart of our Vietnamese culture. Finally, with our fourth and newest pillar, we instill leadership by offering numerous opportunities for our members to hold leadership positions. With positions like our executive board positions, annual culture show director positions, freshman liaison positions, and mentor positions in our ACE program, we help our members develop leadership skills that they can take with them throughout the rest of their lives. Our recruitment this year has been nothing short of outstanding as we were able to reach out to more new members than previous years. Our average general body meeting attendance has increased from 40 members to nearly 75 members each meeting. We strongly encourage the bonds between our members as well as their relationship with the organization through monthly meetings where we discuss upcoming events, opportunities to get involved, and participate in icebreakers as well as monthly outings such as visiting other schools’ culture shows, attending regional events, and socials such as KBBQ and Karaoke. In regards to marketing, each and every time we host an event, we try to reach out to as many members and schools as possible. We do this through personal invitation to not only our members but to our friends at other VSAs across the continent to attend Night in Saigon. We specialize in a wide range of promotion including unique event page graphics, flyers, photos, and videos. Our marketing paid off this year with a sold out show at Night in Saigon 14 garnering close to 1,000 attendees. We reach out to our campus community by forming relationships with other organizations and inviting them to our events. We make our presence known on the campus through flyers at campus facilities and tabling at our student center. Our VSA at UGA has a limited number of resources. We host fundraisers to try and help raise money for our organization. A majority of the profit made from our annual culture show is donated to the UNAVSA’s current CPP. We consistently receive a lot of sponsorship donations because we have always kept great relationships with past, current, and potential sponsors. Funds are allocated and budget appropriately for each event and each committee. When it comes to officer training, once a new executive board is elected, the previous board will have meetings with the new board, transitioning them into the position. The older board members are always welcome to give advice the the current board, when they are in need of help. Our officers consistently attending a summer retreat, Southeast Leadership Camp, UVSASE’s Element Conference, and UNAVSA’s annual leadership conference to keep ourselves passionate about the organization. We’ve opened up Night in Saigon director positions to not only encourage leadership, but also help in planning our largest event of the year. Our VSA works together by maintaining a constant line of communication through applications such as Facebook, GroupMe, Snapchat, and Basecamp. 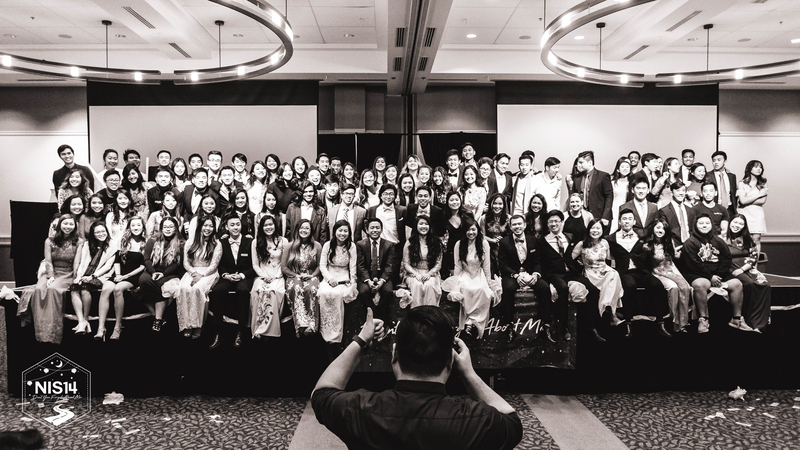 A large portion of our workload comes from planning our annual culture, Night in Saigon, where we have the executive board and board of directors work with committees made up of our general members to execute a culture show that embodies the vision of VSA. For general events, we establish responsibility across the executive board by hashing out details of the events and assigning tasks beforehand. We maximized strengths and weaknesses by asking for help when needed. We emphasized that everyone was here to learn from their position, so even if they were not the strongest at the task, they were assigned it to strengthen their weaknesses and learn how to do it in the future. Members in our organization are always willing to help each other out and help each other improve. We open up positions for general members to become leaders in the organization in which they have certain expectations and responsibilities to be accountable for. For example, the family leaders in our Anh Chi Em program are responsible for guiding their Ems/Littles/Mentees in not only VSA but UGA and life in general. We keep them accountable by doing checkups with the family leaders and also interacting with those in their family. We also help them out by planning ACE specific events where their families can have the chance to bond in hopes of sparking independent bonding sessions outside of VSA-sanctioned events. The ACE Program also incorporated a point system for families that were the most active in the organization. Points were awarded for attendance at meetings, events, out-of-state events, winning games/competitions, etc. The family with the highest number of points receive an end of year prize. We also provide the opportunity of coaching a sport for UVSASE’s Annual Olympics. The coach is responsible for coaching the interested parties in how to play the sport as well as motivate them to continue coming out to practices and improving themselves. The coach and players are both accountable for creating an inclusive environment where everyone should feel welcome to play regardless of skill level of the sport. As leaders of UGA VSA and the Vietnamese community, any disagreements that occurred were solved maturely and professionally and in many cases, the best solution turned out to be a compromise of the two differing opinions turning our own weaknesses into a strength for the event. At the beginning of each executive board meeting, we would debrief whatever events or meetings we held since the last EBoard meeting discussing pros, cons, deltas, and solutions. It helped us figure out how to improve the next thing we planned as a board, and detailed meeting minutes were recorded to help out future boards if they faced the same problems. The past EBoard’s meeting minutes should act as a preventative measure and resource for future boards following resulting in a stronger organization every year. Additionally, at the end of every major event (ex. Night in Saigon and Athens by Night, our formal ball), we release a survey to the public asking them for their opinions on the event. These surveys are split into different sections of the event planning process (ex. Decorations, Food, Entertainment, Marketing, Logistics, etc.) where they can give specific opinions on specific aspects of the event. Following a two week period, we close the form, and debrief as an EBoard responding to the concerns and praises given in each survey response. Sometimes, we don’t agree with what the surveyor said, but regardless, we take note of their opinion and try to solve it for the next event.